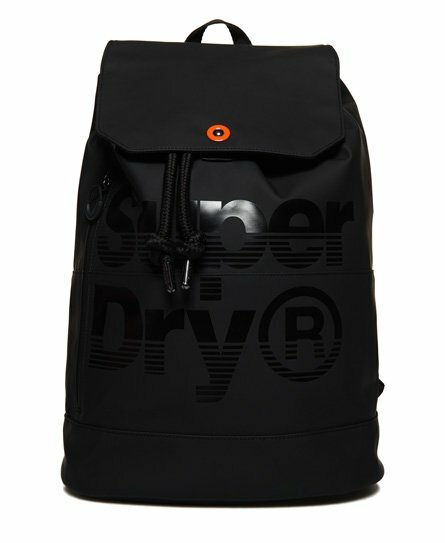 Superdry men’s Cruiser Backpack. This backpack features a drawstring and popper fastening, one external pocket with a zip fastening, two internal pockets and an easy loop carry handle on the top. The Cruiser backpack also has two adjustable shoulder straps, graphic prints on the front and on one shoulder strap and is finished off with a contrasting colour on the hem and the lining. 17 litre approximate capacity H 46cm x L 34cm x D 15 cm.